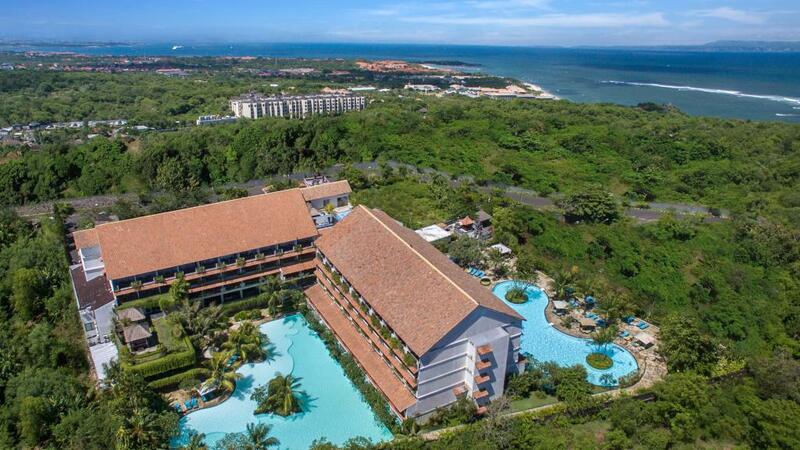 If you are planning to stay in the expensive Nusa Dua area for a while and can't afford the luxury prices, then the Swiss Belhotel Segara is a fairly decent option. The service was really friendly and accommodating if a little slow sometimes, and the room was extremely spacious and everything in it worked, although it was getting a bit old and the cleaning wasn't totally thorough. The main problems were that the hotel food wasn't good at all, and Nusa Dua is a resort / hotel area that is quite set apart and there is nowhere really to eat within walking distance, so it meant taking a taxi to get somewhere else to eat, or just a matter of putting up with terrible (and expensive, by Bali standards) food. The 'fitness centre' is an old, dragging treadmill that couldn't really be used, two cross trainers and a stationery bike, all in need of service. The spa was gorgeous and offered a lot but was pricey so we chose to go outside of the hotel for massages etc. The massive pool is the best feature of the hotel, wrapping around the entire venue, and it was always clean and had plenty of sunshine and comfortable lounges. The price we got in our package couldn't be beaten, so overall I felt like we definitely got what we paid for, but next time I would probably spend more money and stay somewhere better. Food and location are important. Thank you to all the fantastic staff at the resort, We enjoyed staying at swissbel again. Fantastic friendly staff, great service, great food, clean and tidy. Another great and relaxing holiday. clean, tidy, great rooms, friendly staff, amazing pool, quiet relaxing resort away from busy streets, would definitely, return to stay again.